Yamaha has unveiled the 42PS YZF-R3 as a twin-cylinder bored out 320cc version of the YZF some months ago. 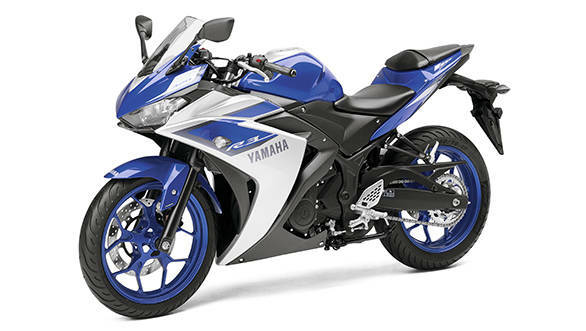 At that time, OVERDRIVE had taken the stand that the YZF-R3 was the motorcycle that would come to India, not this R25. And that the R3 was going be a single cylinder motorcycle so that it could fit into the Indian premium segment with an expectation of at least reasonable traction. Does this new European spec reveal change our view? If you've any doubt that the Indian market is different from the rest of South East Asia, give it up, we are. They love stepthroughs, we hate them. They buy very expensive commuters, we do not. . . The differences in preferences, pricing, value perception, product profiles are just immense. It is the reason, along with the potential size of our market, that makes manufacturers set-up plant, distribution and critically, R&D here. As most multinational manufacturers have realised, either early or by trial and error, products that work in India can be relevant in many other markets but products that work in many other markets hardly ever work straight away in India. The 300cc motorcycle is market is clearly being divided into single cylinder and twin cylinder products. The twins are the Ninja 300 and the Yamaha YZF-R25/R3. The singles are the Honda and the KTM RC 390. We'll stick to the sportsbikes for this story. In Europe and the USA, the price difference between them isn't huge. The KTM is intentionally cheaper by some margin but the Honda and Kawasaki have a minor price difference. In that sense, the Yamaha R3's price in Europe and the USA can be guessed very accurately long before the actual launch in April using the Ninja 300's price a solid, unerring guide. The problem in India is that our market above the Rs 1 lakh segment is still so small compared to the rest of the Indian market that the premium market is more of a future strategy than a current revenue stream. By that I mean, manufacturers aren't that serious about the premium products here. KTM are the only exception because they do not participate in the mass market, nor do they intend to. 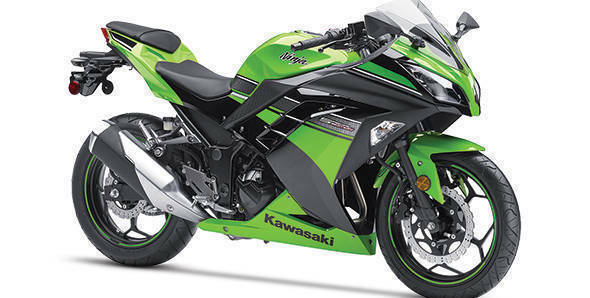 The twin cylinder sportsbike, to wit the Kawasaki Ninja 300 goes into assembly with kits coming from Thailand rather than full local production. Our FTA with Thailand as well as the import duty in the CKD assembly class of bikes gives some cost advantage but the result is a Rs 4 lakh motorcycle. On the other hand, the singles are made here. Locally sourced to a large extent and built from the ground up in India. Their price advantage, then, is considerable. 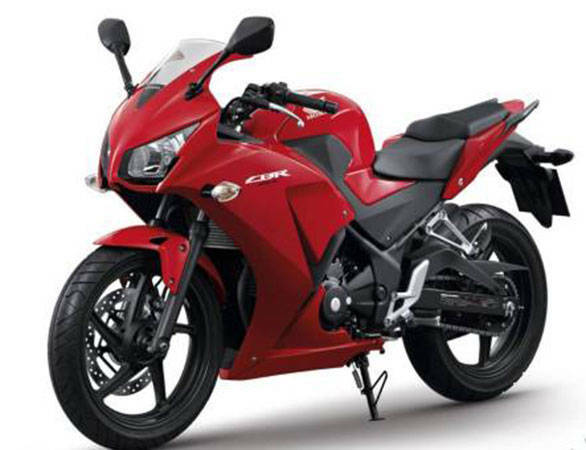 So a CBR250R is just Rs 1.8 lakh and the 300R when it comes will not raise prices significantly. 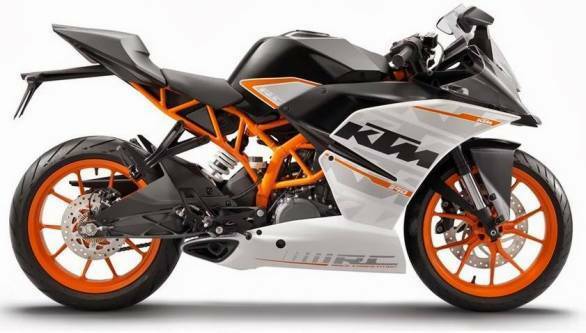 The KTM RC 390, similarly, is just Rs 2.3 lakh. This makes the job for twins much harder here than anywhere else. It's the reason why Yamaha India have a battle on their hands when it comes to making sure the YZF-R3 (or R25 for that matter) is relevant to India in the price-performance stakes. The reason why a twin-cylinder sportsbike is such a tantalising prospect is actually the fault of a single cylinder motorcycle. The new KTM RC 390 is a bit of a beast when it comes to the price versus performance equation. And there is a very simple explanation for this. Between KTM and Bajaj they've nailed the back-end for the motorcycle. It's 100 per cent locally sourced and Bajaj-KTM have intentionally positioned the KTM line of motorcycles as affordable performance at a slightly rather than dramatically higher level above the Bajaj Pulsar. Then Bajaj-KTM added a masterstroke by keeping the KTM RC 200 and 390 engines as single cylinder engines. This is how the KTM RC 390 comes to your garage at about Rs 2.3 lakhs, all told, in most parts of India. It's a stunning achievement to be able to take 44PS and 155kg (all fueled up, approximately) home at that kind of price. A twin cylinder engine making 44PS will feel less highly strung and I could offer you a million reasons why you should have that over a single. But in terms of manufacturing, twins are more expensive - there's no way around that. They are also heavier and there are expensive solutions around that but a mass production motorcycle cannot go there except in extreme cases where sales volume is not an issue. Which brings us to the question as to how Yamaha will produce the R3 here in India. For the best price, Yamaha have to locally produce it. Which means sourcing components here as much as possible and full ground up production located in India. If India were a big market for Rs 4 lakh bikes and returns were assured, this wouldn't be a problem. But in India that part of the market is developing which means most people, including manufacturers are forecasting numbers for the future and hoping they are right. The challenge for Yamaha is to balance the idea that a renewed line of commuters will bring more market share (a stated, avowed Yamaha goal right now), require less effort and produce more tangible results. On the flipside, the R3 will be a lot of work, potentially be profitable also. But the big benefit is that Yamaha finally open an upgrade path for the R15 owners and open doors to a sea of enthusiasts looking to spend their money on worthwhile tools. In this scenario, in local production, the Yamaha YZF-R3 could be priced at Rs 2.7-3.2 lakh which is a terrific price. But I think the likely situation is that if Yamaha India does get the R3, given the low volume expectations and high intangible benefits, chances are they will stick to assembly. In which case, you'll get the bike at the Rs 4.3-4.5 lakh mark. The Ninja 300 barely does a 100 units a month of sales in a good month at its price, so the chance of the R3 being a popular motorcycle for Yamaha are slim. What about the R3 for India, then? I would be very surprised - and very thrilled - if Yamaha India went to the effort of locally producing the YZF-R3 in the European specification here. 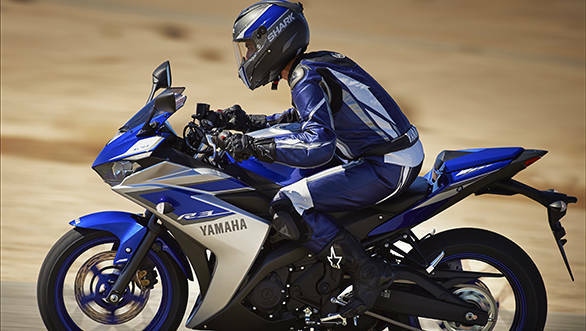 But, if I were Yamaha, I would then prefer to make the 36PS R25 rather than the 42PS R3 in India. It would be slightly cheaper to make and you could keep your premium prices without becoming unrealistically expensive. If I were to bet though, I think Yamaha's prioirities right now are market share and volume growth and that means the R3/R25 and the process of local production isn't a hot ticket item in Yamaha's to do list. Which means either a locally produced product in two or more years time, or no plan to locally produce at all. On the other hand, since Honda is about to start assembling multi-cylinder engines, Suzuki and Kawasaki already do, I think Yamaha will follow suit and rather than wait for a cheap, locally made R3 or R25, we'll get a more expensive locally assembled Yamaha. 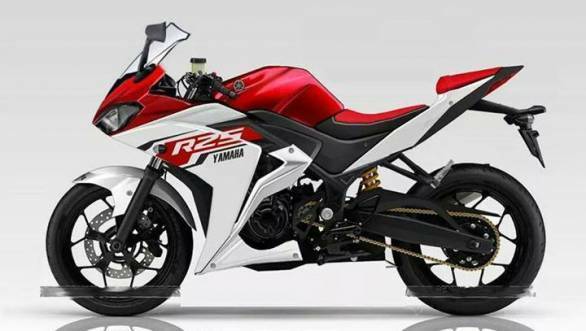 If I were Yamaha and I had to assemble it, then I'd want the R3 and not the R25. The higher performance - without a significant jump in production cost - would allow me to price it higher and protect my margins. The question is where will Yamaha source the kits from. Logically, since the R3 is just a bored out R25, the R3 kits will originate in the same places where the R25 is made. Which is currently Indonesia. Do we have a trade agreement with them? If not, the Ninja 300, again, has a duty advantage because those kits come from Thailand who we do have a trade agreement with. Which in-turn needs me to show some advantage to justify a higher showroom price. The lighter weight and the extra power that comes from the displacement could just be that advantage. So, three choices. 1) Rs 2-2.3 lakh, 300cc single, 30-32PS, locally made. 2) Rs 3 lakh, 250cc twin, 36PS, locally made. 3) Rs 4.3 lakh, 320cc twin, 42PS, CKD assembly. I'm still thinking that option 1 gives me the most competitive motorcycle with the highest chance of making relatively big numbers. What do you think? Let us know in the comments. Is the 320cc YZF-R3 coming to India? Is the 320cc YZF-R3 coming to India?